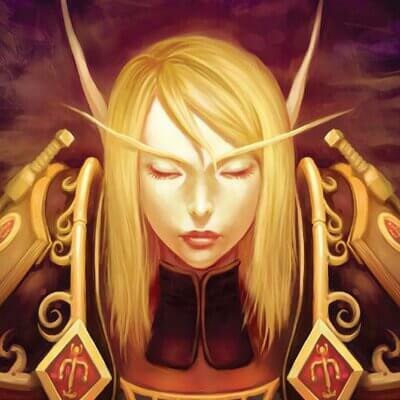 This guide is written by Shuttle, a world class Holy Paladin raiding in Midwinter. He maintains guides on Icy Veins and has been an expert/auditor for the now-deprecated SentryTotem website. Shuttle has been raiding on his Paladin since The Burning Crusade, and started playing the game in 2004. The Holy Paladin is an extremely versatile healer filling the role of a Tank Healer & Raid Healer while providing an overwhelming amount of raid utility. We excel at single target triage healing while utilizing our beacons to heal tanks simultaneously. Additionally, Holy Paladins brings Blessings which when utilized correctly can be the difference between Life & Death during an encounter. 1. Cast Beacon of Faith & Beacon of Light on both tanks. Note, if 2nd tank isn’t taking damage, you can move beacon onto a 3rd target (I.E Someone with a DoT Debuff). 2. Cast Holy Prism. Note, you can hold off using it on CD, if you know big damage is coming. 3. Cast Holy Shock on cooldown on injured raid members. 5. Cast Holy Light on injured raid members. This is your filler. Note, use Flash of Light if the raid member will die before Holy Light finishes casting. 6. Cast Eternal Flame at 3 Holy Power on the active tank or raid member taking constant damage. 7. Cast Holy Radiance if it’ll hit 6 targets and won’t overheal. Note, this spell costs a lot and doesn’t provide much healing for the cost. 6. Apply Sacred Shield on both tanks and a third target. 7. Cast Light of Dawn at 3 Holy Power. Never cast Word of Glory, always use holy light for single target healing. 8. Cast Holy Radiance if it’ll hit 6 targets and won’t overheal. Note, this spell costs a lot and doesn’t provide much healing for the cost. • Holy Shock Generates 1 Holy Power. As mentioned above, Holy Shock is your #1 Holy Power generator. • Holy Radiance Generates 1 Holy Power. As mentioned above, this spell is extremely expensive and will rarely be casted. • Crusader Strike Generates 1 Holy Power. Be careful of spawning ranged mechanics on melee. • Arcane Torrent Generates 1 Holy Power. Bloodelf only. Currently you can pool 5 maximum Holy Power, this is powerful because Holy Power finishers only cost 3 Holy Power. You can pool 5 Holy Power and cast 2 finishers in span of 3 GCD’s. For example, pool 5 Holy Power, cast Eternal Flame, Holy Shock for 1 Holy Power then cast another Eternal Flame again. This can be extremely powerful when you’re anticipating high raid damage. The Tier 18 Bonuses add strength to our beacons. The 2pc will simply increase the amount of healing your beacon transfers and the 4pc will provide you with a haste buff whenever the beacon receives healing. Note: Any healing will proc the 4pc, including EF ticks. It’s a very boring, but powerful 4pc. • Daybreak procs from casting Holy Radiance. Be sure to cast it on stack injured raid members. • Infusion of Light procs from critical Holy Shock. Use it on Holy Light, Flash of light or Holy Radiance before casting Holy Shock again to prevent wasting procs. • Enhanced Holy Shock procs from casting Holy Light and Flash of Light. • Avenging Wrath is an extremely powerful cooldown and can provide a lot of raid healing during sustained raid damage. It’s best to speak to your other healers and discuss when to use it to prevent overlapping throughput cooldowns being used. • Devotion Aura is another extremely powerful cooldown. It’ll reduce damage by 20% & stop interrupting effects. It’s best to speak to your other healers and discuss when to use it to prevent overlapping raid cooldowns being used. Note, Devotion Aura also prevents being interrupted and silenced on most boss encounters. • Lay on Hands can be used if you think a raid member will die before you can finish a cast on them. • Hand of Protection best used on raid members with a physical DoT debuff to remove the DoT/prevent the DoT from doing damage or on a raid member who has threat. Note, melee raid members won’t be able to attack. • Hand of Freedom best used on raid members with a movement impairing debuff. Note, can be used to remove Hand of Protection off raid members. Provides the most on demand speed burst. By far the most reliable talent choice. Provides more frequent speed boost however you’ll rarely find yourself needing it. Provides passive speed bost, however you’ll rarely have 3 holy power for the additional boost. One of the best stuns in the game. Very rarely required. Very niche ability in a boss encounter. Pretty useless in raids, as most mobs are immune. The weakest of the talents, you’ll almost never find yourself using it. The strongest talent choice. It provides a healing overtime effect, applies Mastery: Illuminated Healing and transfers portion of healing to your beacon targets. A strong choice and is worth using at lower iLvL as it doesn’t scale with Mastery. Hand of PurityVery situational niche in raiding. If used correctly, it can completely mitigate harmless boss mechanics. Worth using if you find yourself not using your Hand Utility. Doubles your raid utility. This talent is extremely powerful and should be your default choice. Provides an additional burst healing cooldown, however it’s not that great as holy power finishers aren’t that great. Increases the potency of your Avenging Wrath. This is by far the strongest choice. Provides a chance whenever spending holy power to give a free 3 Holy Power spell, however it’s very RNG dependent and not that great. Provides the most healing on a short cooldown. Worth using if your raid is constantly stacked and taking massive raid damage every 1 minute. Weakest of the three. Provides massive single target healing every minute. Gives you access to a 2nd beacon, the holy paladins strongest ability. Extremely annoying to use. You can easily get sniped by another healer causing your beacon to jump to next injured raid member before you can even finish your cast. Weakest of the three. It can be useful in five mans & challenge modes. Removes the damage transfer component. Allows for Bubble Hearthing, the classic paladin move. I’m a little paladin, short and stout. Here’s my hammer and here’s my trusty mount. When I get in trouble I scream and shout, then I bubble and hearthstone out! When beacon is constantly being moved around. When back to back cleansing is required. When an encounter has a lot of physical damage. When you need extra mana and won’t get two uses of Lay on hands. When you’re casting Flash of Light on the same target consistently. When you need self healing and casting Word of Glory/Eternal Flame a lot. This Glyph can be extremely useful, it reduces the effectiveness of Avenging Wrath by 50% but doubles the uptme. It’s good for frequent bursts of raid damage, however if you feel you need a big cooldown to heal your raid through massive raid damage, don’t take this glyph. While using Sacred Shield, mastery loses value as there is zero interaction between Mastery and Sacred Shield. Take Multistrike over Mastery. Intellect is a primary stat that provides 1 Spell Power (SP) per point. Spell Power increases how much your spells heal for. Spirit increases your combat mana regen. Once you feel comfortable with your mana, you can trade spirit for other stats. Critical Strike increases the chance to critically heal with spells. Mastery applies Mastery: Illuminated Healing to all of your healing spells. Multistrike causes spells to have a chance to hit a second and a third time, each healing 30% of the initial spell. Weapon: Enchant Weapon – Mark of Shadowmoon or Enchant Weapon – Mark of the Thunderlord. Start off using Mark of Shadowmoon and change to Mark of The Thunderlord if you’re finding yourself with a lot of excess mana (Trading Regen for throughput). Note: I’ve included 3 trinkets. If you find yourself not needing the mana regen from the Demonic Phylactery, you may swap it out for Intuition’s Gift. • Cast Hand of Sacrifice on the tank soaking Acid Torrent to reduce raid damage. • Cast Hand of Protection on raid members (Or yourself) who are about to get rolled over. • Use Devotion Aura on Acid Torrent or Fire Lines on Mythic. • Use Avenging Wrath to top raid off after Acid Torrent. • Cast Hand of Sacrifice on the tanks taking Crippling Suplex. • Cast Hand of Protection to remove high stacks of Shattered Vertebrae. • Use Avenging Wrath to top raid during Aftershock & high stacks of Shattered Vertebrae. • Cast Hand of Sacrifice on the tanks taking high damage. • Cast Hand of Protection to remove high stacks of Rend and Tear. • Cast Devotion Aura during Tantrum. • Use Avenging Wrath to top raid during Tantrum. • Cast Hand of Sacrifice on the tank before they soak Inferno Slice. • Cast Devotion Aura before Inferno Slice to reduce the initial damage. • Use Avenging Wrath to top raid when groups have 2 stacks of Inferno Slice. • Cast Hand of Sacrifice on the tank soaking Charring Breath. Can also be used on double Cinder Wolf fixate targets. • Cast Devotion Aura during Firestorm. • Use Avenging Wrath to top raid during Firestorm. • Cast Devotion Aura when the raid has stacks of Burning. • Use Avenging Wrath to top raid during Man-At-Arms or when raid has Burning stacks. • Cast Devotion Aura when raid members have Volatile Fire or before a Blast. • Use Avenging Wrath to top raid after Volatile Fire or Blast. • Cast Hand of Sacrifice on the tank with high stacks of Warped Armor. • Cast Hand of Protection during Rune of Grasping Earth on yourself or raid member who missed their Rune. This will cause the target to survive the Thundering Blows. • Cast Devotion Aura during Stone Stone Breath. • Use Avenging Wrath to top raid during Stone Breath. • Cast Hand of Sacrifice on the tanks taking Sanguine Strikes to reduce raid damage, otherwise use when tank is taking high amount of damage. • Cast Hand of Protection on Penetrating Shot when the raid cannot stack, this will remove the effect. • You can use Hand of Purity on Convulsive Shadows to cause 80% damage reduction when you cleanse the target. • Cast Devotion Aura when the raid is taking Sanguine Strikes damage or if the raid has high amounts ofDominator Blast stacks from Turrents. • Use Avenging Wrath to top raid during Sanguine Strikes or if you’re healing the boat. • Cast Hand of Sacrifice on tanks during Demolition, Shattering Smash, Massive Shattering Smash and when the tank needs to kite boss through fire during Phase 2. • Cast Hand of Protection on targets who get Marked for Death during Demolition in Phase 1 if needed. Can also be casted on yourself during Demolition to ignore all damage and heal. Additionally, it can be casted on Falling Debris soakers in Phase 3 on Mythic. • Hand of Purity can be casted on Impaled targets to reduce bleed damage. • Cast Devotion Aura when before Exploding Iron Star when changing phases or Overheating damage in Phase 3. Can also be casted during Explosive Siegemaker when it blows up on Mythic. • Use Avenging Wrath to top raid during Demolition, high damage from Iron Soldiers, Overheatedor during general high raid damage. Mouse Over macros are essential for healing, below you can find the macros I use.